Raised top with interrupted chimb for full drain off. Top and bottom double seamed and solutioned, electrically welded side deam. The interrupted chimb drum (IC) is a tight head drum with a specially designed self-draining top to prevent the accumulation of liquids. It is frequently used for liquids, fertilisers, edible oils and chemicals. Some specifications are certified to meeting UN Group II requirements. The design of the top of the drum also means they can be interstacked. 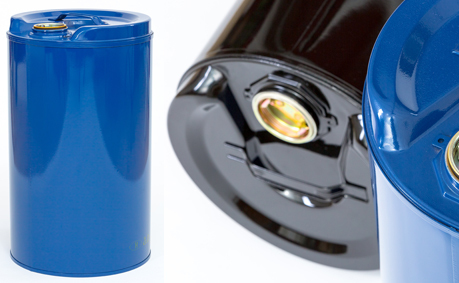 Our IC drums are available in a range of capacities from 15 to 25 litres and can be supplied with a wide choice of head fittings.